Contrary to popular belief, we do not have to be perfect to do God's work. Look no further than the twelve disciples whose many weaknesses are forever preserved throughout the pages of the New Testament. Jesus chose ordinary men - fisherman, tax collectors, political zealots - and turned their weakness into strength, producing greatness from utter uselessness. 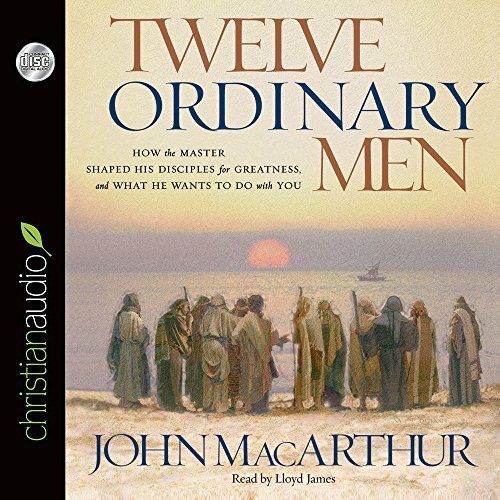 MacArthur draws principles from Christ's careful, hands-on training of the original twelve disciples for today's modern disciple - you. If you have any questions about this product by Brand: christianaudio Seed, contact us by completing and submitting the form below. If you are looking for a specif part number, please include it with your message.